← Managers, Did You Know Worker Voice Can Help You Too? 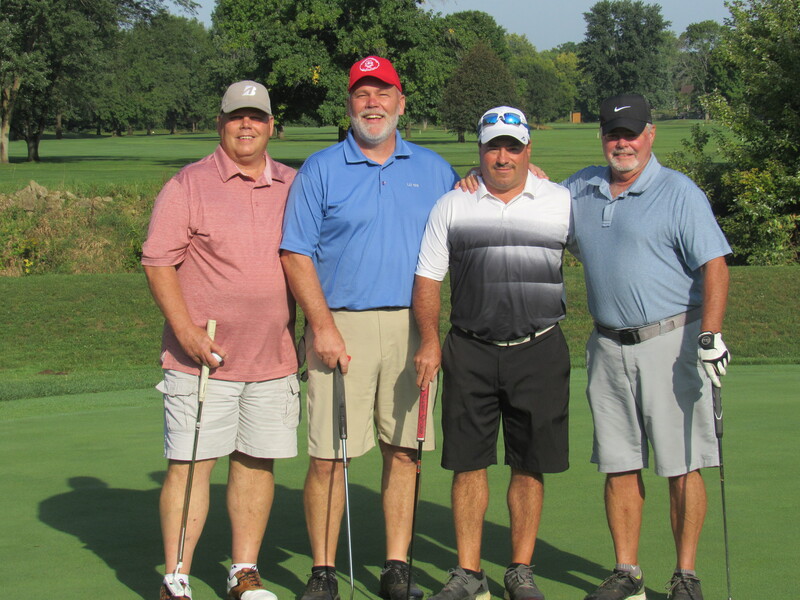 On Friday, the CALMC Golf Outing kicked off the Labor Day weekend. Featuring teams from management, labor, and community groups, our 18th annual outing was our biggest ever. 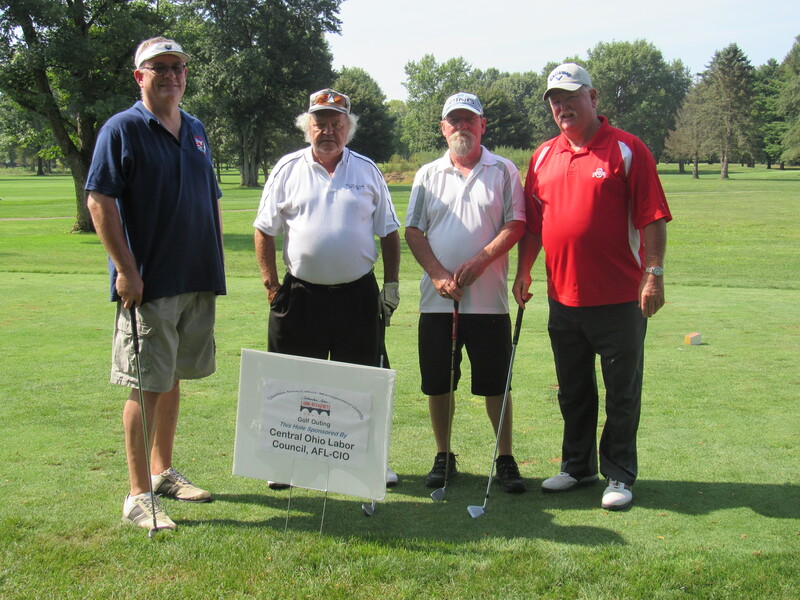 Our winning team represented the Central Ohio Labor Council, AFL-CIO. As usual, the Labor Council team played well, as they are former champions as well as taking home this year’s prize. Bill McNally (r) and the Plumbers and Pipefitters team. Bill will be retiring at the end of 2018.
ating cooperation and networking with each other on the course. Just remember, Bill, retirees are always welcome to play in the outing! We appreciate the continuing support our sponsors show for CALMC. The sponsorship from the United Way remembered one of their own. Homer Cordle was the Director of Construction and Veterans Affairs for the United Way before his passing last month. A couple of weeks ago we wrote about Homer and the unceasing work he did on behalf of workers, children, and others in need. He will be difficult to replace for all of the organizations with which he worked. You can see more pictures from the outing on our Facebook page. Thanks to everyone who played in the outing, sponsored holes, and helped recruit teams to play. Mark the date of August 30, 2019, and join us for our 19th annual outing. This entry was posted in CALMC, Columbus Area Labor-Management Committee, Labor-Management Cooperation and tagged CALMC, Columbus Area Labor-Management Committee, labor-management collaboration. Bookmark the permalink.